In 1 Peter 3 we read that a woman’s beauty should not be merely outward; rather it should be an inner disposition of the heart and a gentle and quiet spirit, which is very precious in God’s sight. The holy women who trusted God adorned themselves and submitted themselves to God. 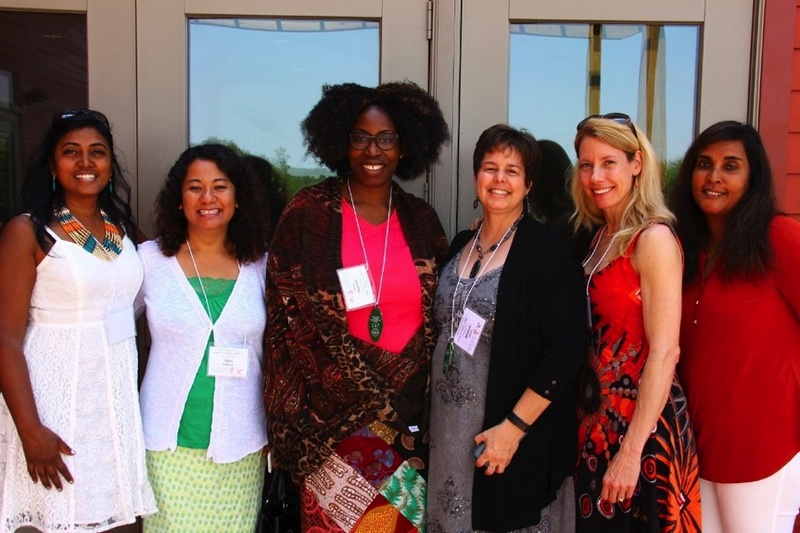 A group of attendees at the Mid-Atlantic Women’s Enrichment Weekend. The Mid-Atlantic Women’s Enrichment Weekend was held at the Pearlstone Center, a Jewish retreat center located in a serene part of Reisterstown, Maryland, and was attended by 59 ladies from 10 states, ranging in age from 17 to 84 years old. The weekend’s theme was taken from 1 Peter 3:3-4 1 Peter 3:3-4 3 Whose adorning let it not be that outward adorning of plaiting the hair, and of wearing of gold, or of putting on of apparel; 4 But let it be the hidden man of the heart, in that which is not corruptible, even the ornament of a meek and quiet spirit, which is in the sight of God of great price. Friday evening started off with a delicious baked chicken meal followed by a get-acquainted activity. On Sabbath morning, we had several beautiful pieces of special music performed. Randy Schreiber, who pastors Albuquerque, New Mexico, gave a sermon titled “Mother of Submitters” speaking of Sarah and how having an attitude of submission is important in our life. In the afternoon, the keynote presenter, Kay Schreiber, was introduced by our MC, Carolyn Robinson. A study guide had been handed out the evening before on “Women of Old” like Sarah, Rahab, Deborah, Esther, Ruth, Rebekah and others, so we could look over their examples prior to Kay Schreiber’s presentation. The next morning, she pointed out four things that made them women of God. The four criteria she mentioned are: putting our trust in God, being submissive, doing what is right and what is good, and not being fearful. We are to put our hope and trust in God. This takes away pride and gives us a meek and quiet spirit and a submissive attitude. After a short break, we had our second presentation by Stella Helterbrand from Cincinnati, Ohio, who spoke on what is precious in God’s sight. She showed us how to have true faith and values, the importance of God’s glory, and how we are more precious than jewels and each unique to God. As God’s special treasure He is refining us. After the presentations, the older women of the group were honored and thanked for being good examples in teaching the younger women in their congregations, and they were encouraged to continue teaching through their example. We then had an interactive group activity where each table group received scenarios to discuss, and then a representative from each table shared short summaries of examples in the Bible of those who had a gentle and quiet spirit. The evening ended with hymn singing, accompanied by Grace DeVenny on violin, and s’mores at the campfire. In the morning after breakfast, everyone was given a Hawaiian lei as they entered the hall, and we enjoyed learning the art of hula dancing by Alexis Sumner. Many ladies throughout the weekend took walks on the property and found the facility to be very relaxing and peaceful. As a community outreach program, we asked everyone to bring personal hygiene items as well as sheets and comforters to contribute to Sarah’s Hope, a local shelter for women and children. Many ladies commented on how appreciative they were of the amount of free time allowed so they were able to build new friendships. Comments were also made about how spiritually and positively enriching the weekend was and how they hoped that we would be able to come back to this location again for another Women’s Enrichment Weekend.